Plymothian Transit: Taxi or Ambulance? Now here is something I have not seen before. South Western Ambulance Service (or whatever they are called this week) have this newish Taxi "Mobile Response Service". Not quite sure exactly what that is but there are no blue lights so is clearly not an emergency vehicle. 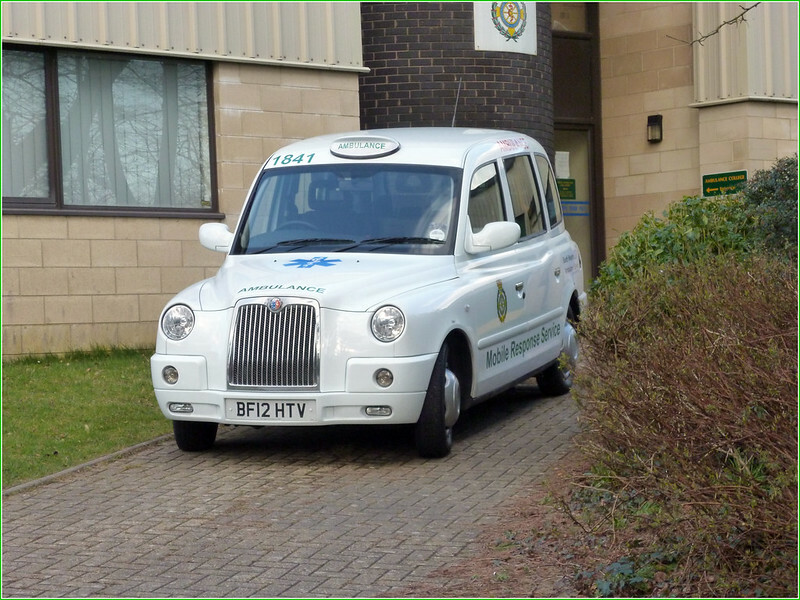 The cab is going to be used as a response vehicle to people who have suffered non injury falls, or for transferring patients to hospital that do not need a fully equipped front-line ambulance making more resources available for 999 calls. It is on trial for 2 weeks and is actually cheaper to purchase that a normal rapid response vehicle, an assessment will be made after the 2 week trial to see if it is a success! If it is it may become a permanent feature in Plymouth. From an ambulance employee at Derriford. Very interesting response - an extremely good idea and well worth a try. Thank you very much for sharing!